MyMemories Blog: Papers Aren't Just Papers! Let’s play with papers! There are so many great ideas, you’re only limited to your imagination! 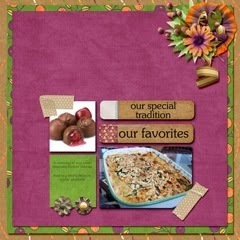 I’ll show you some of my favorites made by some special ladies, the talented Layout Artists on my Creative Team. 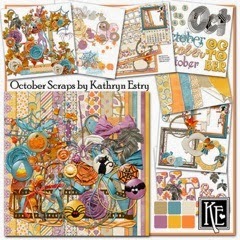 Kathy and Michelle use papers layered on top of papers to “frame” their layouts. 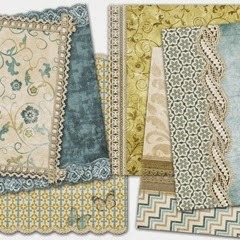 This is one of the easiest ways to use multiple papers in your layouts. 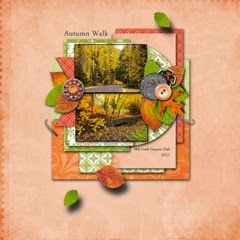 Add one paper as an embellishment and reduce it in size until you have the frame look you like. 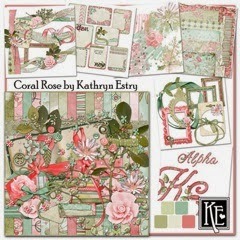 Two gorgeous layouts! Judith used the same technique but added 2 papers above her background paper in these next two examples. 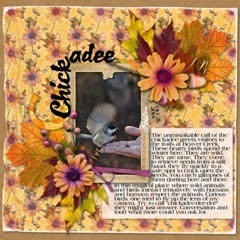 By choosing a solid for the top paper, she was able to use the fun print papers without them detracting from her photos. 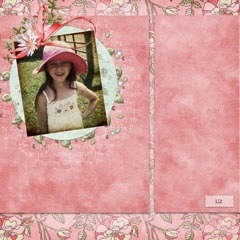 You’ll see that in her first layout, she used papers cut into shapes to draw attention to her photo. 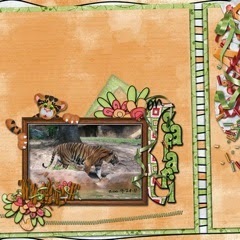 Torn papers are fun to use over background papers as Liz and Lori show you here. Instant depth! 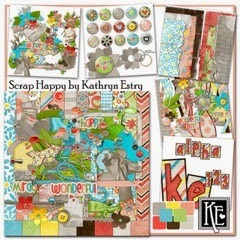 You’ll find lots of sets of torn papers just like these in my store that match my page kits. Look closely under Liz’s daughter’s photo and you’ll see another paper peeking out! Yvonne and Lori took two papers and layered them on top of their background papers, tilting each a tad. This is easy as well and gives you a totally different look. Notice the contrast between the papers and that by using solids as the top layer, both could journal right on the papers. 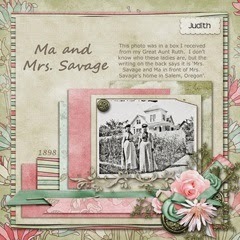 Such sweet layouts by these two! One of my favorite go-to ideas when I’m scrapping is to use a paper twice as Liz and Monica did in these next 2 cute layouts. This is easy as well, and I love the look! Liz cut a third paper from the collection into a circle to “frame” the photo and of course added a little cluster ~ yet another article. Look really closely, and you’ll see journaling under the paper circle! How clever is that? Monica used two papers and slanted them a bit. If you like this look, you might like my stacked papers. 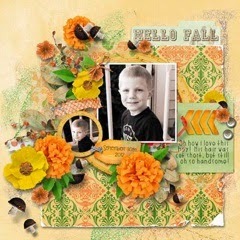 They have this same layered look but also include elements, so they’re super easy page starters perfect for beginners. Just add your photos, and you’re done! 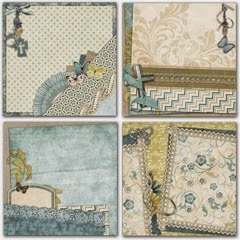 Also in my store are lace papers which match many of my sets. 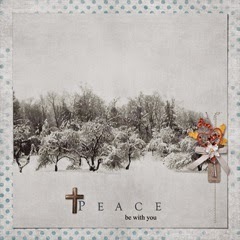 Use them the same as you would other papers that you’re layering above a background. Both of these are from my Power of Prayer Collection. 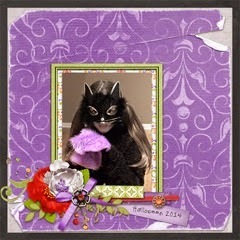 Anita is my newest CT member, and what amazing layouts she’s made already! 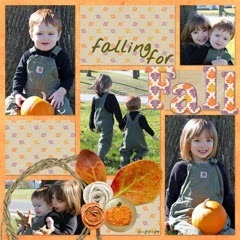 Look how creatively she’s used my torn papers in these layouts of her precious kids! 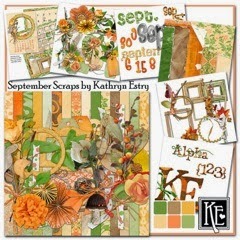 hope this has given you some new ideas for using all of those beautiful papers in your collection! 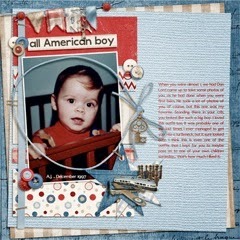 A big thanks to my Layout Artists, Kathy, Michelle, Judith, Liz, Yvonne, Rhonda, Anita, and 2 Lori’s. How lucky I am to have them working their magic with my designs! 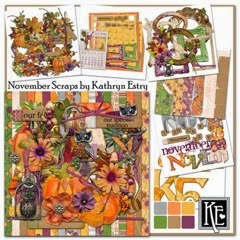 The collections used in these examples can all be found in my MyMemories store Kathryn Estry Designs !!! 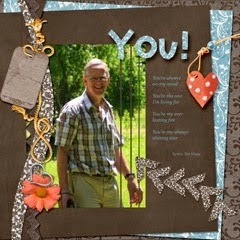 Thanks for sharing - I enjoyed the layouts - it gave me some ideas.